China is grappling with the challenge of pricking real-estate and credit bubbles and avoiding a hard landing for the economy at the same time. China is facing a tricky problem with its economy -- and that's making the rest of the world skittish. In its bid to control surging real estate prices and a head off a credit bubble, the Chinese government could end up sparking a credit crunch and slow economic growth more than expected. And as seen this week, concerns about the world's second-biggest economy can rattle investors all over. The People's Bank of China, which maintains tight control over the banking system, has been taking a tough line with Chinese lenders. It refused to inject cash into the financial system earlier this week despite rocketing short-term borrowing costs and evidence that the economy is slowing. Growth in China slipped to 7.8% last year. The government's target for this year is 7.5%. But the risk of a disappointment is rising and with it the prospects of a weaker-than-expected recovery in the global economy. HSBC, which cut its China forecast to 7.4% this week, said it believed Beijing would not act to stimulate the economy unless growth was heading to 7%. "We believe markets will worry about the slowdown, but take time to get enthusiastic about the prospects for reform," noted HSBC strategists Garry Evans and Herald van der Linde, downgrading Chinese equities to neutral from overweight. The Shanghai Composite and Hong Kong's Hang Seng both closed about 0.5% weaker Friday and have lost 8.6% and 10.6% respectively since the start of the year, compared with gains of about 11% on U.S. stocks. With the Federal Reserve likely to start winding down its bond-buying program before the end of the year, analysts at Nomura believe China is taking a stand now to avoid delivering two shocks simultaneously. The rate at which Chinese banks lend to each other overnight hit a record high above 13% this week before falling to 8.5% Friday. Another key measure of cash in the banking system -- the 7-day "repo rate" -- hit 25% on Thursday, before dropping sharply Friday. There were some reports Friday that the central bank had taken steps to ease lending but rates remain way above normal levels. Explanations for the cash crunch vary. But China watchers agree that the country's central bank's hard line reflects Beijing's desire to put reform before growth in the short term and moderate lending to its burgeoning "shadow banking" sector. "We believe that recent action by the People's Bank of China reflects the government's determination to take aggressive action to contain financial risks," said Nomura economist Zhiwei Zhang. The International Monetary Fund last month cut its growth forecast for China to 7.75%, raising concerns about a rapid expansion in credit and questioning the quality of borrowers and their ability to repay loans. Related: China's debt: a crisis in the making? Analysts worry that new lending is not translating into growth and is increasingly dominated by unregulated operators such as trust companies, securities dealers and underground operators that make up the shadow banking system. The risk that the cash crunch will trigger a full-blown financial crisis is slim, given the vast resources of the Chinese government. But corporate earnings will suffer as financing costs rise, and some companies could default. Fitch Ratings agency, which warned in April about excessive debt levels, said Friday it calculated that credit expansion would total 18 trillion yuan ($2.9 trillion) this year, a level similar to 2011 and 2012, if the authorities maintain their current stance. But with 10 trillion yuan extended by the end of May, that implies a sharp drop in new credit in the second half. "This credit deceleration will create a further drag on economic growth, which has been slowing down steadily since early 2010," Fitch said. 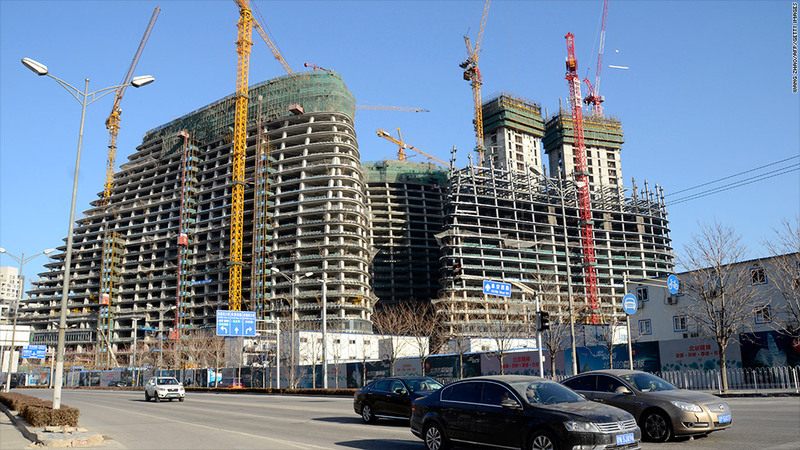 The central bank has not commented this week but the Chinese government said Wednesday it would maintain a prudent monetary policy to curb new credit for unauthorized construction projects in industries with over capacity.